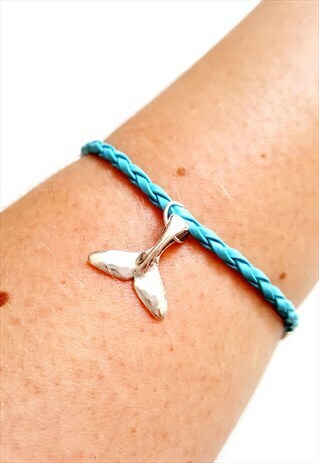 Whale Tail charm bracelet in baby blue. Lobster clasp fastening, with extendable link chain to fit different sized wrists. Material: Leather and Metal.